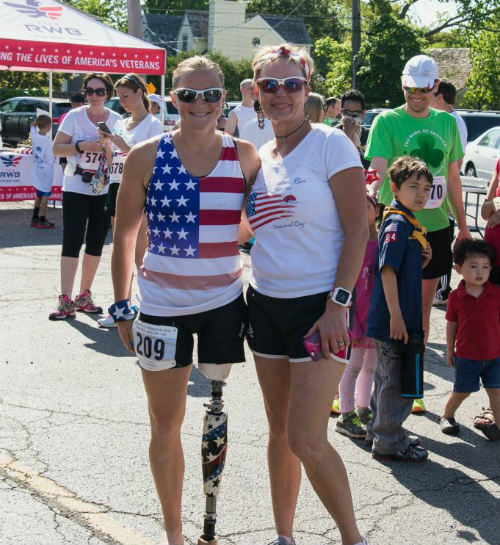 Marilee Papale with second place 5k runner veteran Melissa Stockwell in 2016; Stockwell competed in the paralympics this year. DEERFIELD – The sounds of Rolling Thunder will help rev up the crowds at the Essence of Freedom Run on Monday, May 29, Memorial Day. Papale explained that the Essence of Freedom Run 5k/10k began on Memorial Day four years ago to support Illinois and Lake County veterans. It became a non-profit organization called S.O.S Freedom two years ago, reaching out across the country to bring more donations to the Illinois Veteran Assistance organizations. Additionally, SOS Freedom donates nationally to Operation Homefront and Fisher House, which are military supporting companies that provide housing to families that are visiting soldiers or veterans who have been injured, said Papale. 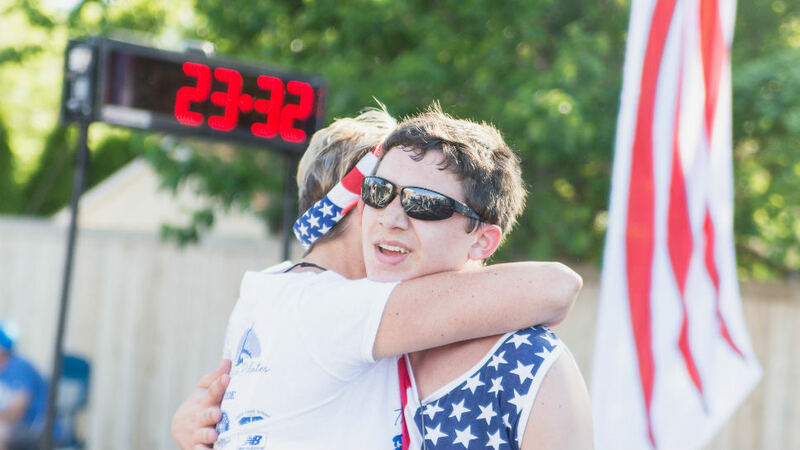 The fact that so many veterans, especially from the Vietnam War, suffer from Post Traumatic Stress Disorder (PTSD) inspired Papale to create the Essence of Freedom Run and S.O.S Freedom. “I wanted to give assistance to things that the military won’t help with,” said Papale. “They can’t help if retired veterans need help with their rent, medications or glasses. These are the kind of things they can come to us for and we help them fill out their applications and go from there. Papale is no stranger to the military. Her husband, David Shipman, served in the United States Air Force as a Lieutenant Colonel A-10 Fighter Pilot from 1983 to 2004, and her brother did nine tours in the U.S. Army and is in the National Guard. Her older son will be graduating this year from Deerfield High School, while her younger son is a sophomore who would like to attend the Air Force Academy. The family moved to Deerfield from Colorado in 2005. Papale said that throughout the years, there has been a lot of participation from Deerfield High School. 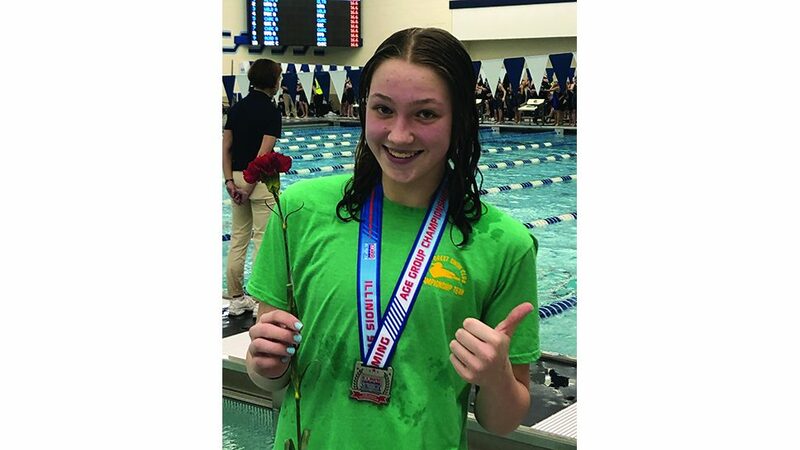 “Yesterday we had the DHS lacrosse team here making signs and passing things out, and we have four high school graduates that are going into the marines that will be running the race,” she said. Papale explained that the Essence of Freedom Run had 400 runners and about 600 spectators and volunteers in 2016. The event was followed by a parade, which will be reprised. “The American Legion has a Memorial Day parade that marches down to the cemetery and then they do the 21-gun salute and Taps to honor all of the soldiers in the cemetery,” she added. 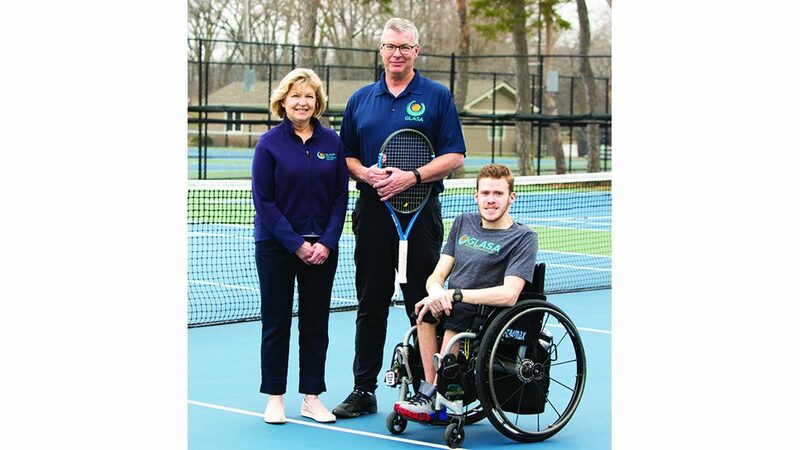 The organization raised $25,000 last year, and this year Papale hopes to raise $50,000. Registration for the The Essence of Freedom Run will close on May 27 at noon. Race day registration will also be available. The top two finishers in each age category win a medal and the top male and female winner in each distance category (5k and 10k) receive a plaque. Papale added that pets are not allowed for insurance purposes. Papale said the event will feature coffee from Reprise Coffee Roasters, which sells coffee in the west Lake Forest train station and recently opened a cafe in Winnetka’s Hubbard Woods district. The event also will offer bagels from Upper Crust Bagels, Deerfield, and “an all-American hot dog breakfast” from Michael’s, Highland Park. The Essence of Freedom Run will take place on Memorial Day, May 29, from 7:45 a.m. to 10 a.m. at Essence Pilates studio at 849 Waukegan Road, Deerfield. Papale’s studio is located on the northeast section of Deerfield Road on Waukegan and the race will be held on the streets of Deerfield. Volunteers are still needed. For more information visit: essenceoffreedomrun.com.